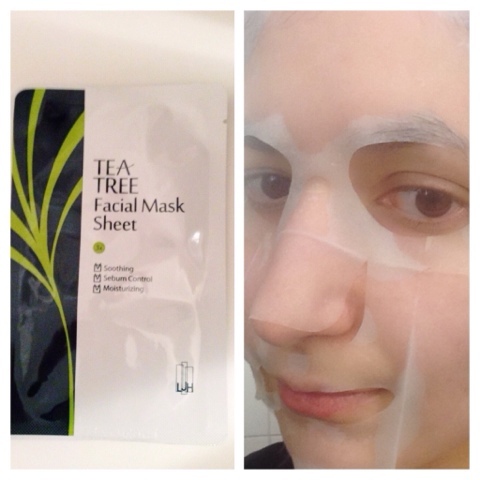 It's time for a sheet mask review again. If you are familiar with the western Asian beauty (AB) community then you have probably heard of the LJH tea tree 90 essence. It's a very popular product, seems to do wonders for acne prone skin. I'm using it myself now and I can already say it's amazing!, but more about it in a future post (planning on reviewing the entire LJH tea tree line). 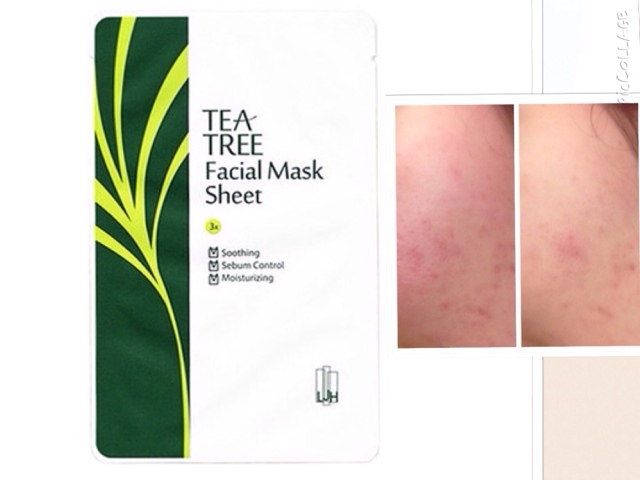 The Tea Tree Facial sheet mask by LJH promises to moisturize and sooth problematic skin with tea tree extract. Centella asiatica and ginkgo leaf extract in the formula, is supposed to brighten and even skin tone. Shortly, LJH describes it as a sheet mask specialized for skin trouble and sebum control. The ingredient list is short, so far I like what I see in there. Cosdna analyses shows no red flags (expect Butylene glycol as usual). Tea tree is known for it's antibacterial properties that have been shown to be effective against the bacteria that cause acne. It has anti-inflammatory properties and acts also as an antioxidant. Ginkgo leaf extract is an antioxidant that also has antibacterial properties. Research has shown that it can protect the skin from external factors, and reduces redness and inflammation. Centella asiatica is effective in wound healing, treating scars and stimulating synthesis of collagen, hyaluronic acid and cell growth factors, thus helping to maintain and restore skin elasticity. I have reviewed a product before that has Centella asiatica as its key ingredient (Cosrx Centella blemish cream here). Alcohol is high on the ingredient list, I'm not a big fan of it but I know it's there to increase absorption rate. 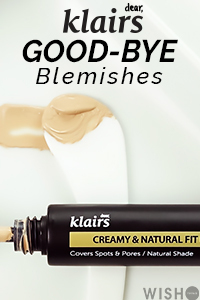 Altogether my skin is sensitive, I didn't experience any issues with it in this formula. The packaging style is similar to the entire tea tree line from LJH, it's clean, green, simple. The mask fits really well, material is very thin and soft. As it is supposed to control sebum and help acne prone skin, I waited for a moment when my skin had a minor breakout; just some small red bumps and quite a lot of redness. I must say that I had high expectations for it. I love the LJH tea tree 90 essence and expected the mask to deliver similar results, but stronger. When I opened it there was not much essence left over, but the sheet was fully soaked, soo wet. Still, there was enough essence to use some on my neck, that is something I always do. I left it on for about 50 minutes, started to dry out around the 40min mark. To my surprise, my skin felt quite hydrated and moisturized, something you usually wouldn't expect from a tea tree sheet mask, but as promised the mask is moisturizing. I would say, moist level was better than I would get from an 'average' sheet mask. As I said before, my skin experienced some red bumps (pimples? probably hormonal) and quite some redness on my cheek. 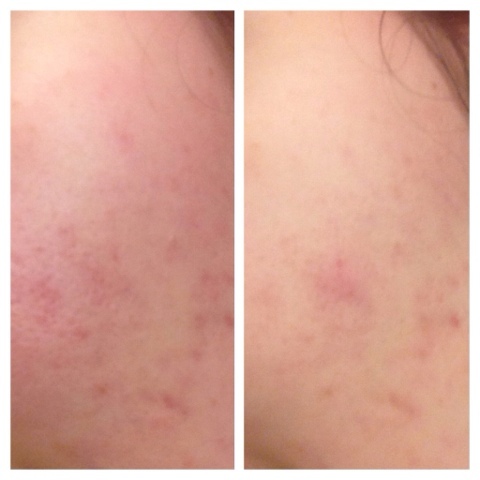 The mask really reduced redness (see before after) and irritation, the red bumps were not gone but definitely less red, also some small red dots disappeared (forming pimples, or irritation? honesty, no idea what they are). Even the PIH marks on my cheek are less prominent and brighter. BTW my acne scars are better than a year ago, but still as you can see its a problem, okay that is for another post. the same light. skin appears less red and brighter. Overall, I really liked how my skin felt afterwards. It's not as potent as the essence and if you are looking for something to control acne then I would suggest go for the essence definitely, but the mask is a nice addition, especially used together in combination with the essence. It's hydrating, moisturizing, reduces redness and seems to calm some blemishes and even brighten skin. I don't have active acne and oily skin, so I cant really say how well it controls sebum and acne. My skin is sensitive dehydrated, sometimes acne prone (mild, depending on the period), so the combination of the moisturizing and soothing properties of the LJH Tea Tree Sheet Mask work really well for me. If you have tried this mask before, let me know in a comment below. The masks usually retail for 2.50-3.00$ a piece. I purchased the LJH Tea Tree Sheet Masks on HKC plaza, during one of their sells. Now, they retail on HKC plaza 10pcs for 30$ (free shipping from Singapore)/ 2.50$ per mask on Memebox/ 30$ for ?pcs on LJHusa/ 0.91$ (normally 1.81$) per mask on koreadepart. Yes you should try one like this !